A 3-1 win over Southport in the Lancashire FA Youth Cup Final proved the icing on the cake after the senior side had booked their place at Wembley in the FA Trophy final the day before. 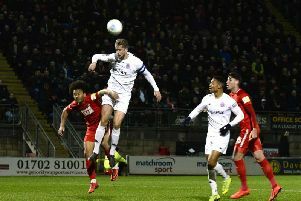 An early goal from Cameron Hollywood, as well as further efforts from Leon Wright and Sheldon Green in the second half, ensured the young Coasters lifted the trophy at the County Ground, Leyland. Manager Chris Ganner was delighted to lead his side to victory on a weekend that will live long in the memory for the football club. He said: “With the first team getting to Wembley and us winning the final on top of that, we’re over the moon. “They’re a great group, all first years bar two of them, so probably the youngest team in the competition. Proud parents and aspiring youth players from the club turned out in their numbers to watch what was a big occasion for the Under-18s. Ganner hailed that support and said the coaching team kept it brief in helping the players to handle the occasion. “A lot of our academy lads, right the way from Under-11s to Under-16s, came down and supported. It is great for them to see where they could potentially progress to,” he said. 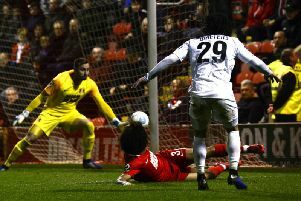 After Hollywood’s opener, Southport levelled early in the second half before Wright restored Fylde’s lead from the penalty spot. Forward Green, who was introduced at half-time, sealed the deal with a chipped finish to spark wild celebrations as well as earning himself some praise. “It was a very good finish,” said Ganner. “He’ll be interested to see that one back on video, with it being such a clever scooped goal.